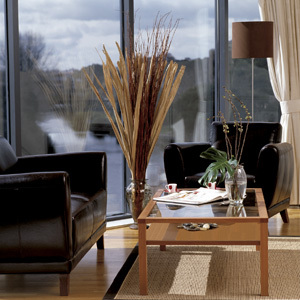 A showcase of some of our best classic and contemporary Irish home interiors and commercial fitouts. Featuring design led Elica kitchen designs, living room ideas inspired by Jane Churchill textiles and bedroom designs finished with Kilcroney and John O’Connell furniture. 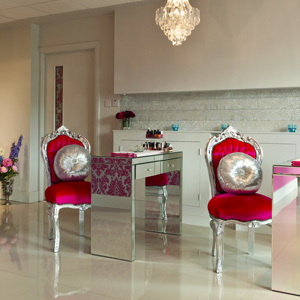 Commercial interior design work includes offices, restaurants, beauty clinics and show houses . Use of textiles includes rooms draped in Harlequin Dupion silks and Colefax and Fowler curtains, walls festooned with Zoffany wallpapers and Farrow & Ball paints, as well as bespoke Irish feather pillows by RK Designs. Wine box fronts, distressed metal and walnut veneers were used in this new Wines direct shop to give warmth and character to the basement space in Arnotts Dept Store. All commercial considerations were taken into account and look achieved has resulted in a fantastic space to purchase the delicious wine selection. Complete interior fit out of a beautiful summer house on the coast at Liscannor, Co.Clare for clients based in America. Currently working on this project which involves kitchen, bathrooms and all living and bedrooms in a comfortable, casual style with a contemporary European inflection. Liscannor stone is used extensively in this property and the design brief is to highlight the beauty of this natural resource and create warmth with the furniture and decorative fabrics and colour choices. Complete transformation of retail unit in 3 weeks. The brief was an ultra glam and glitzy interior scheme. To achieve this we used glass and mirrored mosaic, Italian porcelain reflective tiles and a unique lighting plan. Silver and pink are Cedars brand colours and we used exact pantones in the wallpapers and paint effects to create a perfect salon experience. This very unique property has a 360 degree panorama of the Dublin skyscape. As the property looks directly out to Dublin bay we used reflective materials to bring these images into the property itself. The brief was urban chic and we achieved this style by a mix of space remodelling, interior design and project management The reconfiguration of living accommodation to fit an 8 setting Julian Chicester walnut table and a 2meter by 1.8meter stone island counter top opened up the space. Custom made furniture by firms such as John O’Connell furniture, bespoke rugs from Rugs by Design and beautifully finished handmade wooden pieces by Ritigan and Hick created a uniquely Irish Penthouse interior for our wonderful American Clients. The bathrooms were fitted out with under floor heating, bespoke cabinetry and a use of glass and black porcelain to achieve a relaxing spa style interior. American president Ronald Regan used to holiday in Waterville and the attraction of this part of Ireland is clear when you travel through the beautiful landscape. Our brief for this project was classic old school glamour with a utilitarian edge. Featured in House and Home magazine this residential interior design and project management commission included a range of designer and high end materials such as fabrics from Colefax and Fowler, Ralph Lauren and Nobilis Meridian. 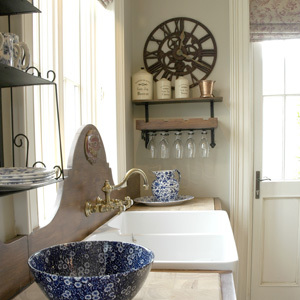 Bespoke cabinetry though out coupled with beautiful French pieces from Kilcroney furniture and Eden Home and Garden. Created a fine luxurious interior with attention to detail a high priority. Every detail of this property from the hand finished paintwork on the kitchen cabinets to the level of feathers in the bespoke Irish pillows was created and managed by RK Designs. After successfully completing 2 projects in Dundrum Wood we were delighted to receive a third commission on this same road. Again this project included project management of an extension and reconfiguration of the ground floor accommodation. The brief was to make the most of the light filled areas of the property and the style was to be contemporary with a classic edge to achieve this we used solid oak flooring with an oak and painted kitchen. 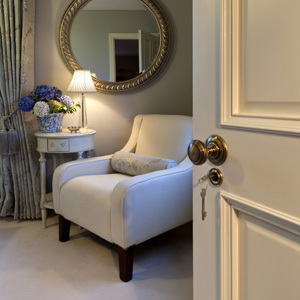 Fabrics from Jane Churchill and Nina Campbell were used to introduce subtle colour and this combined with details such as the Carlisle Brass door handles and kitchen cabinetry combined to excellently full fill our clients brief. 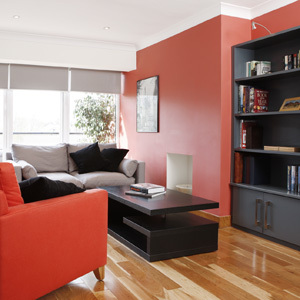 Complete refurbishment of townhouse using custom designed shelving and lined oak floors. The modern bespoke kitchen adds to the overall modern style of the home. Refurbishment of the reception and function room, which included new interior colour scheme, blinds and lighting to modernise the room and increase the impression of light and space. Refurbishment of living areas to include fitting of a walnut floor, restoration of original sideboards, wallpaper, colour scheme and lighting. In this project original furniture was retained and counter balanced with modern contemporary pieces. 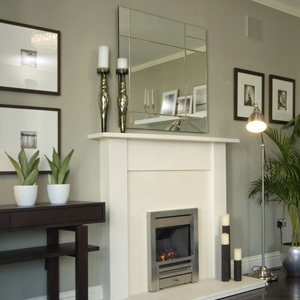 Featured on RTE’s Showhouse programme in April 2008 – this was a full fit out from bare wall shell of a 4-bedroom detached house in Portlaoise. An eclectic mix of contemporary and more classic styles using Farrow & Ball paints and wall papers, custom designed kitchen and furniture and intelligent use of lighting. Finally the house was skilfully accessorised to complement the fresh and modern scheme. Refurbishment of the Clubs ladies toilet blocks using marble counters, Italian porcelain tiles and solid oak doors. In addition, full refurbishment of all soft furnishings within the lounge areas of the club including custom built lounge chairs and re-upholstery of existing furniture. High specification fit out for corporate rental market. Complete refurbishment of a penthouse apartment in Milltown. This included reconfiguring the space by removing walls between the living room and kitchen and changing the shape of the hallway and bathroom. Fully custom designed and fitted kitchen and custom built shelving and wardrobes throughout. Fireplace replaced with contemporary gas model and under floor heating fitted to all living areas. Interior office design, including boardroom, flooring, storage, lighting, office furniture and art work to highlight the fresh modern atmosphere in the firm. Full refurbishment of a 4-bedroom house in Malahide including new ensuite bathroom, fully built-in utility room, flooring and carpets, and all curtains and soft furnishings. 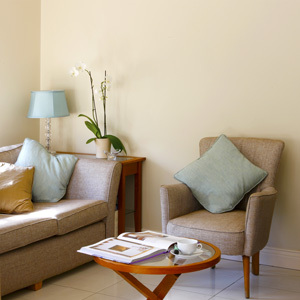 Colour scheme of Aqua, cream and blue was used throughout the project to ensure a flow through the property. Fireplaces were all replaced and an unnecessary door was blocked and plastered in the living to increase the useable living space. This property had been untouched for years the brief was to turn it into a modern contemporary for my client. A new kitchen, bathroom, all new floors, plastering of walls, new lighting, wardrobes and soft furnishings were supplied and fitted. Full apartment fit out for the high-end rental market. Italian porcelain tiles, Romo fabrics and Harlequin wallpaper was used to dramatic effect. 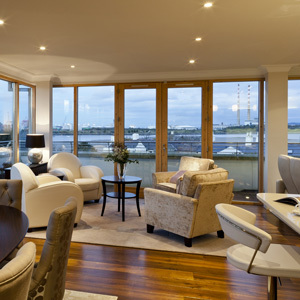 Walnut floors and Irish designed furniture were all supplied and fitted. A luxurious home in a faded French interior design style. A new marble bathroom was designed and fitted. 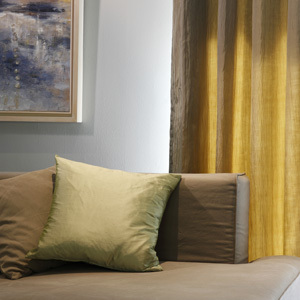 The use of Zoffany wallpapers and fabrics created an interior rich in colour, texture and comfort. An entire revamp of an old cramped apartment by knocking down the partition walls to open up the space. French doors were fitted along with a new kitchen, bathroom, wardrobes, furniture, and soft furnishings. The results were spectacular. This property had been untouched for years and once again the brief was to turn it into a modern contemporary home for our client. New kitchen, bathroom, all new floors, plastering of walls, new lighting, wardrobes and soft furnishings were designed supplied and fitted. Creation of a new colour scheme and design a new boardroom to reflect a growing company. The use of the corporate colours in the choice of carpet and soft furnishings added to the unity of the interior scheme. Complete fit out of apartment for a professional couple. The scheme was modern and functional using granite worktops; suede floor to ceiling curtains, oak floors and large design lead mirrors. 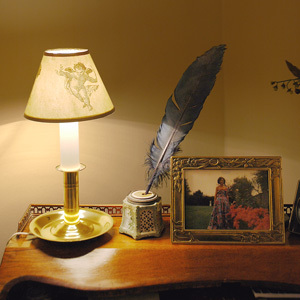 Complete fit out for client who was downsizing and had to accommodate many beautiful pieces of old furniture. Interior required new carpets, tiles, curtains, Roman blinds and all soft furnishings. This property had been rented for years and needed refreshing. Our aim was to turn it into a modern contemporary home for our client. A new fitted kitchen, fully tiled and fitted bathroom, all new floors, and plastering of walls, new lighting, all furniture and soft furnishings were required to complete – in just 2 months.